Typhoon Haiyan/Yolanda hit the Philippines on November 8, 2013. It is possibly the strongest recorded storm to ever hit land, with winds reaching over 200 mph. Details are still coming in at the time of this writing, but it is feared that thousands are dead and hundreds of thousands are homeless. We will provide regular updates on this page. As we have done with previous disaster relief projects, such as the Tsunami that hit Â Banda Aceh in Indonesia in 2004, or previous typhoons to hit the Philippines, Helping Traditions is partnering with Christian Aid to send relief funds to native believers in the Philippines who have existing ministries in the areas hardest hit. 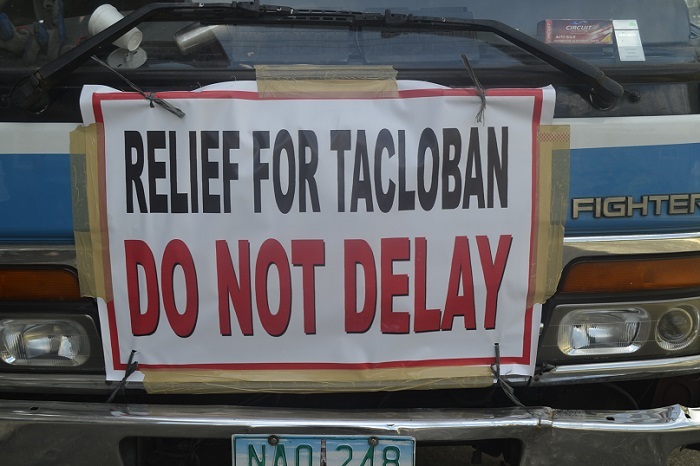 Unlike western aid organizations, Helping Traditions and Christian Aid only work with local Filipinos – no funds will go to Americans or other foreigners, and neither Helping Traditions nor Christian Aid keeps any portion of the donation for administrative purposes. 100% of the funds given will go directly to relief. Emergency aid first, and later for rebuilding. Our people on the ground in the Philippines are working now to secure healthy, nutrient dense local foods to supply to the needy areas. Western food is not used at all. We are immediately concentrating on supplying the following food items: coconut oil, coconut water, rice, and local sardines. To give to this project and receive a tax deductible receipt, please give through the Christian Aid Philippine Typhoon Alert page here. Our folks on the ground will continue to work long after western aid has dried up, and this terrible tragedy is no longer in the news, as it will take months and even years to rebuild people’s lives.